There is no better way to keep your home or office fresh or show someone they’re always in your thoughts than with a recurring flower order. 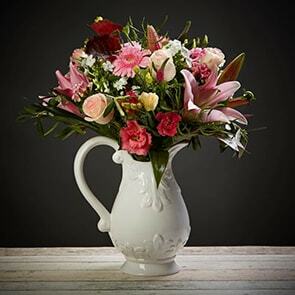 Our Subscription flowers offers the freshest flowers available delivered in whichever interval is ideal for you. 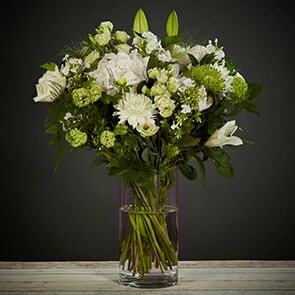 Choose from weekly, fortnightly, or monthly flower delivery and always have fresh flowers on hand. No matter which bouquet you opt for, our quality guarantee ensures your premium blooms will arrive in top condition and last an extraordinarily long time. Our Subscription Collection always begins with an arrangement of your choice and continues on with fresh-cut blooms mindfully chosen by our floral designers. This allows you to have the freshest flowers of the season for 3, 6, or 12 months at a time. Whilst our florists create remarkable pairings to coordinate perfectly together and with any décor, you get the enjoyment of summoning your inner muse and arranging them to suit your tastes. Instructions are also included, so it’s easy to create an eye-catching bouquet, even if you have little or no experience with floral design. All of our flowers are backed by the Bloom Magic quality guarantee, which ensures your blooms will last a full week after arrival. Our staff is also available by email, phone, and instant messaging on the site, so it’s easy to get questions answered or assistance placing your order. Begin now by selecting from our current Subscription Collection and receive fresh blooms on a regular schedule as often and as long as you’d like.